Hungarian FM Peter Szijjarto told RT that the European People’s Party (EPP) did not suspend Fidesz from the European Parliament, but in fact, a mutually acceptable compromise was reached under which Fidsz temporarily suspended themselves. Szijjarto explained how, while Fidesz is remaining firmly on the right, EPP has moved to the left, causing a debate over the future of the pan-European conservative party. Szijjarto admitted that the party’s “very strong anti-migration position … is not shared by many,” which has led to serious conflict among the broad-base of the EPP members. He added that the transnational organization, which, incidentally, is the largest party in the European Parliament, had changed as a result of forming a coalition. Orban’s party suspended from European parliament bloc over ongoing feud with Brussels Orban’s party suspended from European parliament bloc over ongoing feud with Brussels, in which, besides migration, the EPP demanded that Fidesz alters its position toward the left wing activism of billionaire George Soros. 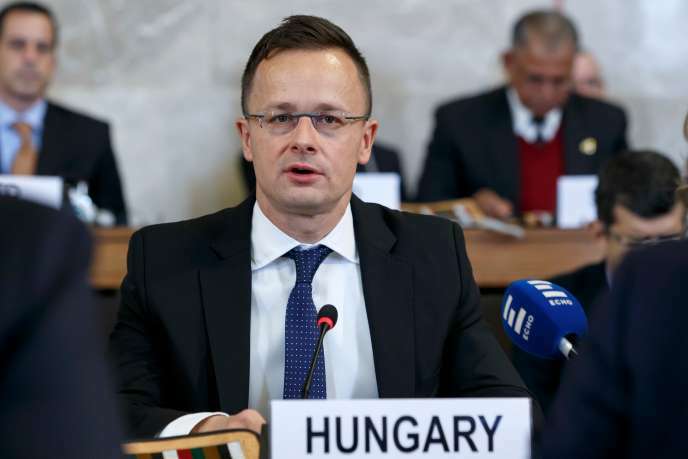 Szijjarto does not agree with characterizing Budapest’s disagreements with Soros as “attacks,” preferring to see their measures at curbing the financier’s influence in the country as part of a debate. The vision he has about the future of Europe, and the vision he has about the future of Hungary is dangerous, harmful, and we don’t want that to happen, Szijjarto said about Soros.